Make turquoise and gold your staple this season. 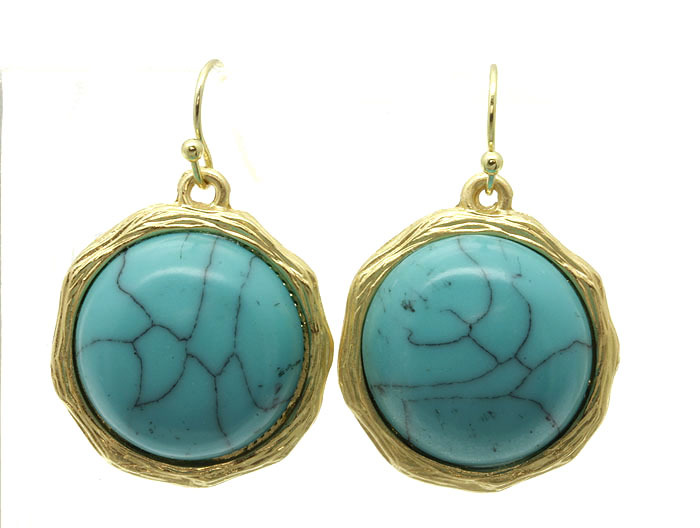 The Dawn earrings glow in textured cast gold metal encasing a circular turquoise stone. Wear them from day to night, night to day. Shopping for online jewellery Australia has never been so easy. We hope you enjoy browsing our extensive ranges.